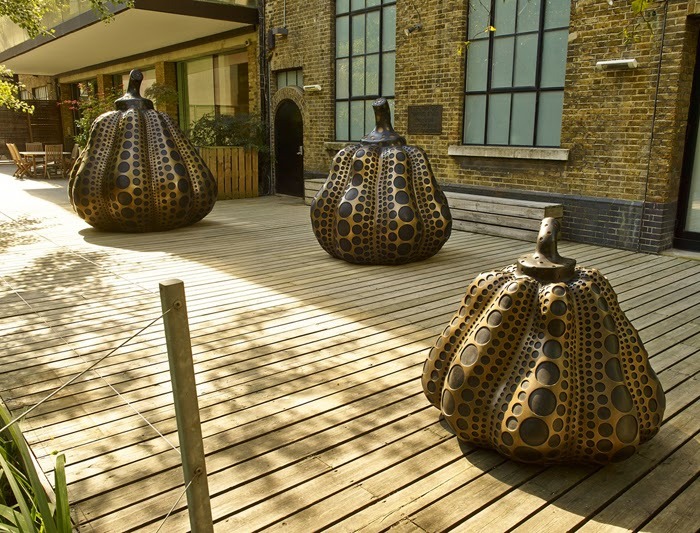 On this unusually hot and unbelievably sunny 31st October 2014 right here in London, I found the most perfect pumpkins to celebrate this year’s All Hallows’ Eve in style at Victoria Miro Gallery’s water garden at 16 Wharf Road, london N1 7RW, where three giant pumpkins by Yayoi Kusama currently reside. 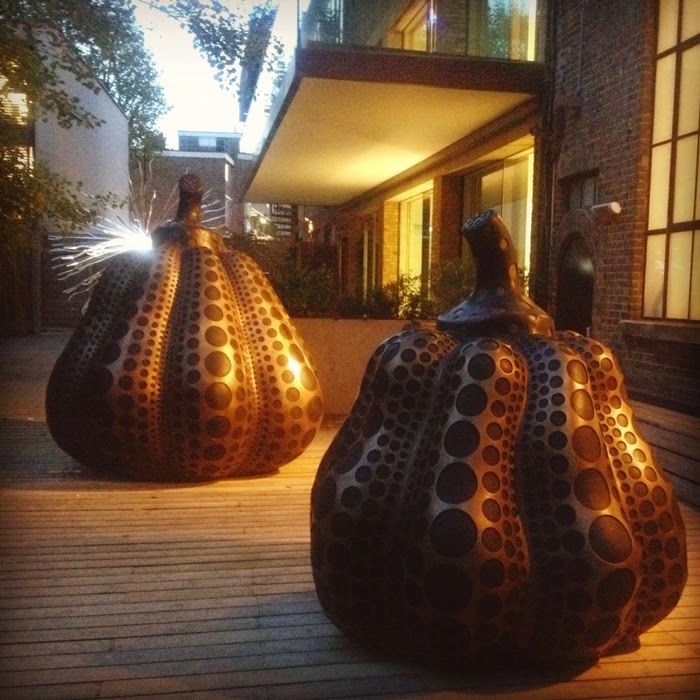 As with all of Yayoi Kusama’s previous body of work on pumpkins, this new series of monumental sculptures also feature the stylised polka-dot patterns inspired by the close up of the natural patterning found on the pumpkin skin. 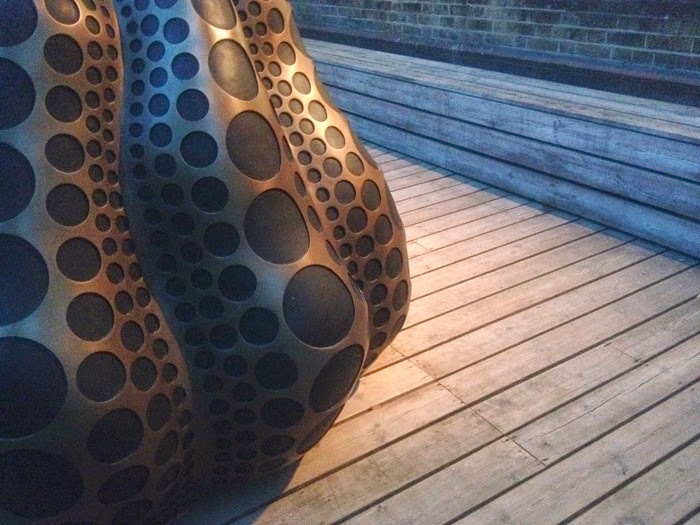 Here, the bumpy characteristic and rough texture of the skin are translated into the sculptures by the lightly embossed polka-dot patterns covering the overall knobby three-dimensional forms. I am fascinated by her affinity with nature and admire the extent to which she is able to draw inspirations from her childhood experiences that would translate a mundane vegetable into one of the most iconic abstract art in the world today. 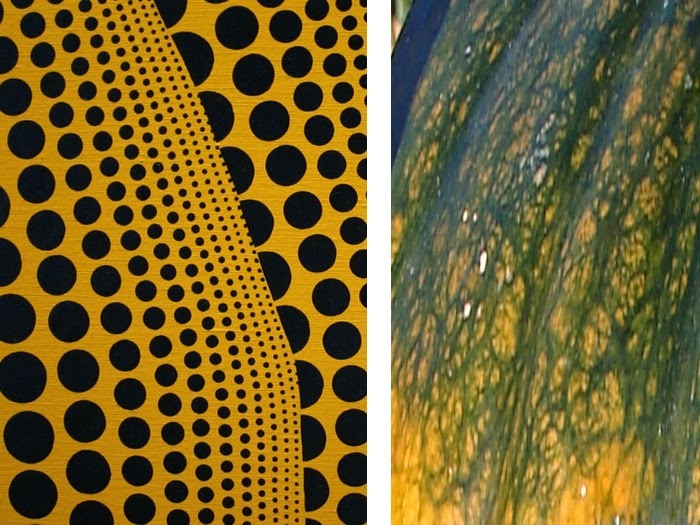 Her dizzying polka-dot pattern inspired from the plant is beautiful and so sophisticated in its abstract form that it is hard to believe its origin can be so simple and humble. The unique water garden at Victoria Miro also provides a most complementary settings for this new series of bronze sculptures, which according to the gallery, “have been two years in the making and mark the first time the artist has worked with bronze on such a large scale”. 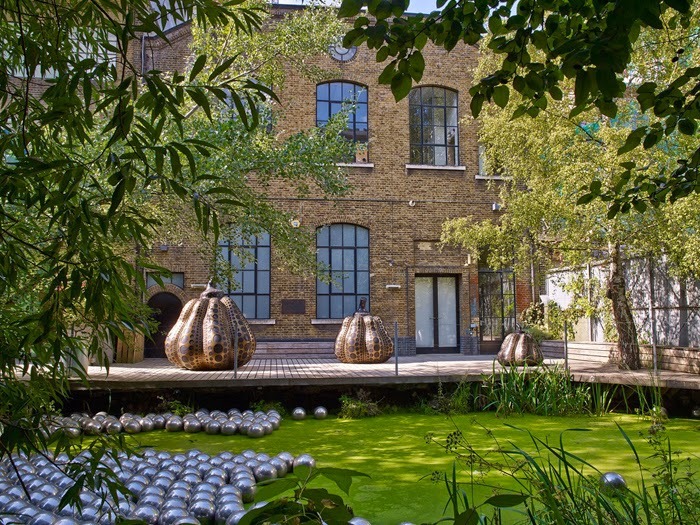 Spending a late afternoon there, it was quite a wonderful experience to observe these monumental yet demure pumpkins sitting quietly, reflecting the sunlight off its polished skin, in dialogue with the rustling leaves in the wind and the occasional lapping of water from the nearby pond. These giant sculptures, with their “charming and winsome form” seemed to feel so at home with the natural world surrounding them.